The 16th Formula One Chinese Grand Prix will be a milestone in the sport's history when it gets underway at the Shanghai International Circuit this weekend. The race will be F1's 1,000th stop, and with new rules and promising challengers in place, fans can expect an exciting weekend in Jiading District. The first two Grands Prix of 2019 had surprise winners, making the rest of the season difficult to predict. Mercedes is still top of both constructor and driver standings, but Ferrari blew a great opportunity when its protégé Charles Leclerc missed out on his maiden victory in Bahrain. Valtteri Bottas is leading the championship after a first and second in Australia and Bahrain respectively. Not able to win a single race last year, the Finn is now in more of a competitive position against teammate Lewis Hamilton. Hamilton's victory in Bahrain was more of a gift from Ferrari, the Silver Arrows' bitter rival. For a while, it seemed like a pair of world champions — Sebastian Vettel and Hamilton — were battling for second place. But a Vettel mistake under pressure from Hamilton 20 laps from the end cost him the position. The situation got worse for Ferrari when leader Leclerc's engine started losing power. Overtaken easily by Hamilton and Bottas, Leclerc was still able to finish third thanks to a safety car intervention in the closing laps. The result was a setback for Ferrari, as the team had been in ominous form in Bahrain, dominating every practice session and every section of qualifying. 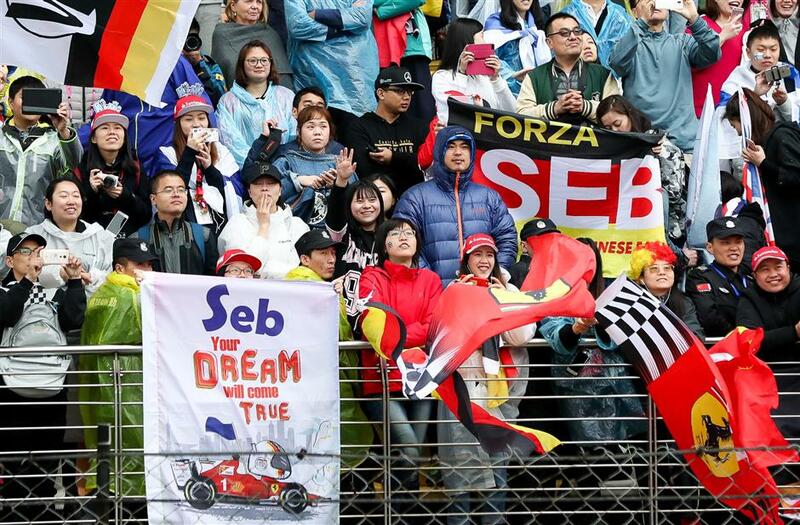 But the rise of a young star might serve as comfort for all tifosi. Leclerc could have become the third-youngest winner of an F1 race after Max Verstappen and Vettel. The 21-year-old Monegasque driver has already become the second youngest to qualify on pole after Vettel, and is currently ahead of his teammate in the standings and has beaten him to both a pole and a podium finish. With four rookies entering the 2019 season, F1 has become a younger camp this year with the average age of its drivers 27 years and 2 months. Half of the grid is 25 or under. The young contenders will not hesitate to challenge their veteran counterparts, especially as overtaking has been made easier this year. At Renault-powered McLaren, 19-year-old British rookie Lando Norris is on form while his more experienced Spanish teammate Carlos Sainz has yet to bring back points for the team. Thanks to eight points from Norris, McLaren is doing better than its French manufacturer's own team so far. Renault's veteran driver Daniel Ricciardo is probably feeling the pressure. Being a double race winner with Red Bull last season, the Australian still has a clean sheet after two races, while his Renault teammate Nico Hulkenberg has pocketed six points. It's not known whether Ferrari will be able to raise their game in Shanghai, though they will surely stay strong title contenders. The Chinese Grand Prix has produced nine winners in 15 years, with Hamilton winning in 2008, 2011, 2014, 2015 and 2017. Fernando Alonso and Nico Rosberg have each won twice. Though Alonso will be missing this year, Shanghai fans will see the comeback of an old acquittance — Robert Kubica. The 34-year-old Pole made his return to F1 representing Williams eight seasons after injuring his right arm in a crash in February 2011. 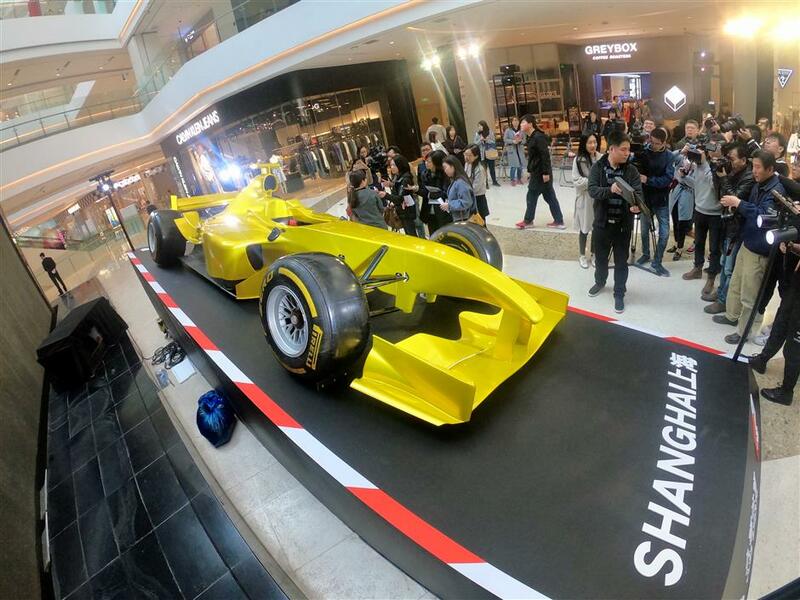 An F1 car on display in a downtown shopping mall promoting the 2019 Chinese Grand Prix is the focus of racing fans' attention. Williams didn't get off to a good start in the new season though. Kubica suffered damage on the opening lap in Australia, and could only manage 16th in the Bahrain Grand Prix. But the disappointing results won't overshadow Kubica's quality as a top-class driver who earned himself credit with his passionate but steady driving style back in his days with BMW Sauber. Some fans still remember Kubica's crash at the 2007 Canadian Grand Prix when his car made contact with Jarno Trulli's Toyota before hitting a hump in the grass, rolling across the track and striking the wall twice. He suffered light concussion alongside a sprained ankle. What made the story more appealing was that Kubica took his maiden F1 victory on the same circuit in the Canadian Grand Prix one year later. He led the championship at one stage that season before eventually finishing 4th in 2008 — his best career position. “Try to learn as much as you can about new F1. Things have changed quite a lot. There's no point in wasting energy or time thinking of a difficult job. We have to make sure we maximize our opportunities from what we have,” he said. Tickets for the Chinese Grand Prix sold out weeks ago. Apart from the main event, racegoers have been promised various activities including motor culture exhibitions and interactive games over the weekend. The 16th Formula One Chinese Grand Prix will be a milestone in the sport's history when it gets underway at the Shanghai International Circuit this weekend.